We had a top morning for our Sprint #3 (NT Sprint C/ships) on the 9 April, the competition was on from the start and it was an interesting watch for spectators. Well done to all our participants, in both the Sprint and our Short Course. RD Lisa Payne headed up our team on the day; our rego duo of Leanne Abel & John Cowie; post race refreshments handled by Roger Decurtins went over a treat (we think you all enjoyed the healthy options); Gary Wall assisted with the trailer as well as timing (he's always busy); we had two wonderful volunteers step up - Georgina Murphy & Casey Winton were on transition guard duties & on the finish line to get finisher numbers; Warren Purse took over marshalling hot corner for us; all those who assisted on our drinks station including our juniors - thank you; Dale Berk on our dismount line; and a collective thanks to those who helped with set up, pack away or where needed. We sincerely appreciate your contribution to the running of our event. Race #3 was supported by Elite Physiotheraphy and Sports Injury Clinic and the club and competitors appreciated their attendance. Elite Physio voucher winners: Moria Wigley and Alan Barrett. 2. This event will be an "off road" duathlon (run, cycle, run) so please have the kids wear clothes you won't mind getting grubby. The course will not be super challenging and if the weather follows predictions it should be relatively dry. 3. If you are planning to attend please let us know in advance by emailing darwintriclubjunior@gmail.com so we have approximate numbers for catering purposes. 3. PLEASE feel free to pass this info on to friends who you think will be interested in coming along, the more the merrier. They can email darwintriclubjunior@gmail.com for further details. Refreshments: Volunteer required (we can source ice at the resort). 1. 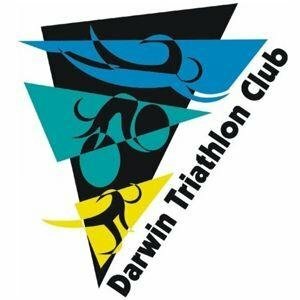 Event History: The late Kerran Mudgway was President of Darwin Triathlon Club 1998/1999 (at a time when we struggled to fill positions). He was a great supporter and volunteer at our club events. Sadly Kerran passed away on New Year's Eve 2001 after falling from a ladder and sustaining severe head injuries while working on home renovations. His passing greatly shocked our close knit triathlon community at the time. The Kerran Mudgway Memorial Club Championships commenced in 2002 as a fitting way to remember Kerran and his contribution to our sport. 2. This is our "must do" event of the year. It's a challenge - afternoon start, fresh water swim and hills! 1. Our new trailer will be getting a facelift soon. David Hancock is arranging artwork to be wrapped along with our logo and we are hoping to have this done by our Club Championships. 2. Our old trailer is for sale. Make an offer. 3. 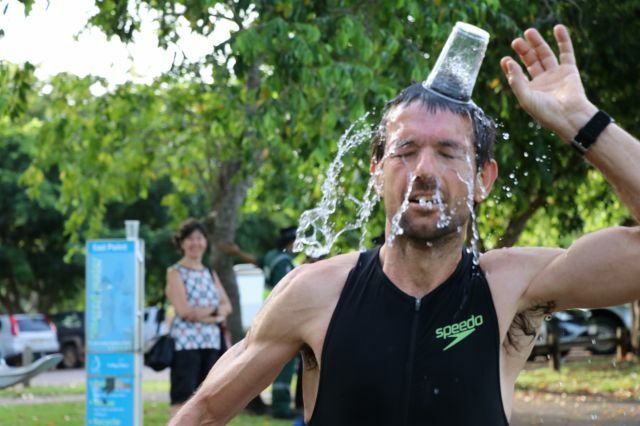 Roger Decurtins is looking into ways we can make our post race refreshment choices healthier. If you have any suggestions please feel free to chat to him. He is also researching recycling options for our cans and other ways to reduce the amount of rubbish at our races. 4. Our calendar committee has commenced work on our 2017 | 2018 calendar - that's a watch this space. 5. Cannibal advise our custom club gear will be dispatched this week. I'll email collection details when it arrives and is sorted. 6. Timing guru Gary Wall is "playing" around with options to make our event timing more streamlined. 7. Thanks to ThinkLab in Nightcliff we now have a new home for our meetings. ThinkLab is Darwin's first coworking community. If you are looking for casual, permanent or parttime office space, give them a call. 1. A remote area doc would love to do the NT Olympic Distance on the 28 May 17. Anyone able to loan or rent him a bike for that event? Needs a 52cm road bike. Email darwintriclub@gmail.com if you can assist. 2. A number of our members including Kerri Thomas, Kate Bell, Alan Huyton, Lisa Payne, Tom Marsh and Lucas Hayden attended the Tri NT TO course last week run by Moz Bronjes. 3. Waterfront Lagoon is currently closed (due to discovery of small box-jelly fish). 4. Well done Glen Scholz, Col Smith and Karen Wilson who completed the Easter in Alice MTB Muster. 5. We have Jo Duncan heading over the ditch to compete at the World Masters Games triathlon. Good luck Jo. 6. Great to see so many of our members out supporting and/or participating in the Careflight Darwin Triathlon. The junior events were a last minute shift to the Waterfront on Sunday and our little reps did us proud with their enthusiasm. Photos. 9. Pointscore update posted to our website. A very quick E News this week! Early bird entry closes 8pm this evening. Late entry then available until 6pm tomorrow, but why pay more than you have too? 2. Presentations will take place after this event so we encourage you to stay afterwards. 3. There will be a couple of lucky draws so do hang around for those as well. 2. Thanks to those people who have replied and are keen to learn more about the rules of our sport and how to implement them. You will have received an email with details. 3. We have had a withdrawal, so if you are interested in attending (the more the merrier) please complete expressions of interest here. 1. Great to hear Phil Blumberg is on the mend. 2. Our two Toms are among those heading south for Challenge Melbourne this weekend. Good luck Tom Marsh and Tom Ryan! 3. Our field is looking great for Sunday! The 2016 Winners of our Series (& NT Champions) were Brett Verity and Rachel McLean. The Series will definitely have new placegetters this year and possibly new champions as well. 4. The event is often a stepping stone for members, so good luck to all those doing their first ever Sprint Distance event on Sunday! 5. Appears it was a very popular move to add in the short option as well. Just a reminder, for this event, participants in the shorter distance will be receiving one (1) participation point. 6. See you all, bright and early at Lake Alex. Not participating? Come on down and watch the action and we can always use extra help.